Creative Freedom were asked to create a custom Windows icon for the DVMP video time-stamp software. 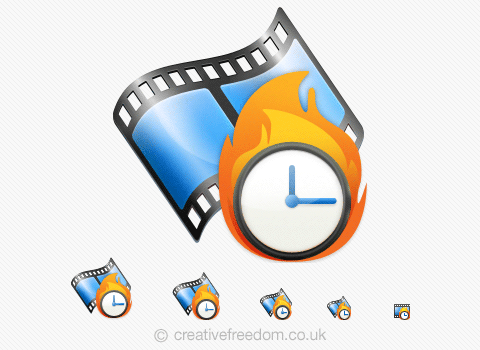 The brief was to create an attractive Windows 7 style icon that conveyed the primary action of the software, in this case ‘burning’ a time-stamp to video files. The icon was rendered in 256, 64, 48, 32 & 16 pixels, each sizes optimized to maximise sharpness. The final output was in Windows ICO format.